Waiting on Wednesday is a meme hosted by Jill over at Breaking The Spine. This meme was created to showcase upcoming books that we are excited for! This week my choice was easy! From Goodreads: "Diagnosed with Stage IV thyroid cancer at 12, Hazel was prepared to die until, at 14, a medical miracle shrunk the tumours in her lungs... for now. Two years post-miracle, sixteen-year-old Hazel is post-everything else, too post-high school, post-friends and post-normalcy. And even though she could live for a long time (whatever that means), Hazel lives tethered to an oxygen tank, the tumours tenuously kept at bay with a constant chemical assault. Enter Augustus Waters. A match made at cancer kid support group, Augustus is gorgeous, in remission, and shockingly to her, interested in Hazel. 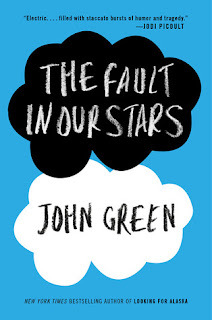 Being with Augustus is both an unexpected destination and a long-needed journey, pushing Hazel to re-examine how sickness and health, life and death, will define her and the legacy that everyone leaves behind." 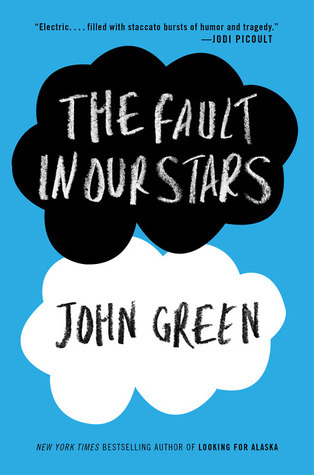 I have read An Abundance of Katherines, Looking For Alaska and Paper Towns all by John Green and I loved and enjoyed all of them! I am yet to read Will Grayson, Will Grayson but I can't wait!